Like the idea of Project Glass but prefer a little more Redmond in your toys? If a patent filing is to be believed, you may well be in luck. 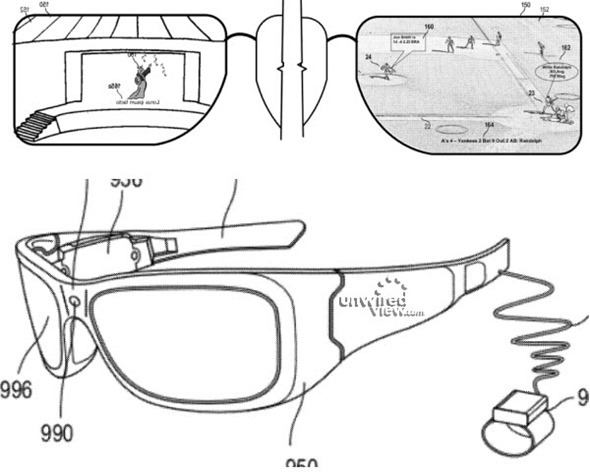 Google’s Project Glass is undoubtedly a typically Google affair. Proposing to turn our glasses into full on video recorders and heads-up displays, Project Glass is the brainchild of a company that prides itself in thinking not just outside the box, but also outside the box that houses that, err, box. The problem though, is that when any company comes up with something so mind bendingly awesome as Project Glass, it’s inevitable that the competition will also begin working towards something similar, if not just a carbon copy. With Project Glass potentially propelling us all into a future where our digital lives are laid out right in front of our eyes, it was an inevitability that Google wouldn’t be the only tech company to plough money into it. Sure enough, there’s another filing patents on something that looks very, very similar. And it’s not Apple. In fact, we’re talking about Microsoft, the same company that made the Zune. Excited yet? No, didn’t think so. A patent application for “a system and method to present a user wearing a head mounted display with supplemental information when viewing a live event,” has been uncovered, and it’s got Microsoft’s fingerprints all over it. Looking suspiciously like a pear of Oakley sunglasses, the concept sounds eerily similar to what Google has already shown off under the Project Glass moniker. In fact, Google is selling Project Glass right now, though only to developers and it’s not shipping yet. Still, it’s proof these things are working their way toward a proper release. We doubt Microsoft is so close. The problem with both Project Glass and Microsoft’s own version is a rather simple one, and that’s weather people will really walk around wearing these things. As cool as they sound, and as awesome as they seem to us techy types, we’re not sure even we fancy the idea, let alone the general public at large. Regardless, the fact both Microsoft and Google are on the same wavelength suggests others may be too. iGlasses, perhaps? Maybe, if a past patent application is to be believed from the Cupertino giants.